In the world of helping people with psychiatric disabilities, we don’t frequently hear new and compelling information that guides community practitioners to help people with schizophrenia. 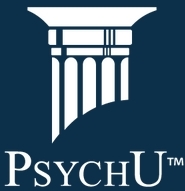 I had the opportunity recently to watch a very engaging webinar hosted by the online information service, PsychU, entitled “Does Relapse In Schizophrenia Cause Neurodegeneration?” The presenters were Dr. Peter J. Weiden, Director of the Psychotic Disorders Program at the Center for Cognitive Medicine at University of Illinois Medical Center, and Dr. Henry Nasrallah, M.D., editor-in-chief of the publications Schizophrenia Research and Current Psychiatry. The moderator presented distressing information about the rate of relapse for people with schizophrenia – over 80 percent within five years with subsequent high rates of recurrence after that. Coincidental with that is evidence of brain studies that indicate reduced grey and white matter – and overall size – of the brains of people with schizophrenia over time. Among other points, the presentation debated current evidence about whether the brain suffers impact from relapse of acute symptoms of schizophrenia as a matter of its “natural course” and whether relapse is attributable to modifiable or non-modifiable variables. And, there is further debate as to whether these relapses alone are what contributes to subsequent brain degeneration or whether it is also the consequences of the illness – such as the impact of hospitalizations, sleep interruption, poor nutrition, trauma/stress, and especially substance abuse – that account for the deterioration. One study cited by both presenters noted that people with schizophrenia who smoke marijuana demonstrated disproportionately acute brain deterioration. In the face of what seemed like an avalanche of distressing information came important guidance about what information can and should be imparted to people with schizophrenia that can give a more hopeful and constructive message. And here, the presenters with divergent views of the biological research found strong agreement about the importance and benefits of wellness strategies to address what has come popularly to be known as “brain health.” In fact, it appears that people with schizophrenia do have positive response to harm reduction and health promotion strategies and at a minimum, these can inhibit brain deterioration. This includes exercise and nutrition, eliminating smoking, and using cognitive exercises, something especially important for memory, a cognitive function that deteriorates when people don’t following through with their prescribed medications or health regimen. One further study brought strong agreement – marijuana use in this group is particularly deleterious to brain health and functioning. Thanks to PsychU for bringing together leaders from differing perspectives to address this important topic. With continued reports on high rate of people with schizophrenia in jails and homeless, professionals and peers in our field are hungry for more guidance to help people with schizophrenia. Schizoaffective disorder (bipolar type), like schizophrenia, is a really difficult illness. Delusions, hallucinations and depression are common themes of this illness. Independence is the most important struggle of this illness. I would never want to experience this illness as a codependent. But another struggle with this illness is losing friends to the consequences of this disease. I don’t like to view my illness as a “disease” but instead as part of who I am. There were many reasons for having an illness that led up to different consequences of this illness. There were times when I perceived many psycho-social concepts as the main part of this illness. But I am thankful for my medications and the people that I have met that have the same illness as I do, or similar illnesses.